Weather forecast from Meteorology Climatology and Geophysics Agency (BMKG) stated that light moderate rain is potential to fall in Jakarta this afternoon.
" Jakartans should be careful with thunderstorm"
"In a fternoon, light rain to fall in Central Jakarta, North Jakarta, and moderate rain in West Jakarta, South Jakarta, and East Jakarta," he informed, Monday (2/11). 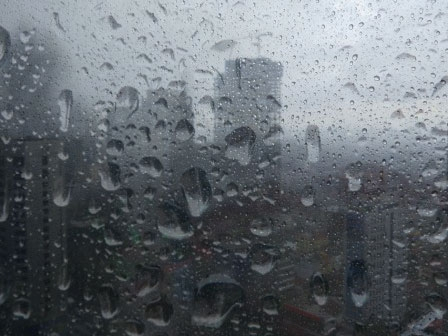 Tonight, rain is also potential to fall in Central Jakarta, East Jakarta, and North Jakarta. While tomorrow's dawn is predicted to be partly cloudy and moderate rain in Thousand Islands. Today's temperature could reach 24-32 Celsius degree with humidity 60-90 percent. Wind blows from southwest to northwest within 05-30 kilometers per hour. "Jakartans should be careful with thunderstorm which is potential to occur in West Jakarta, South Jakarta, and East Jakarta around afternoon to night," he added.